USB port charger with Qi wireless charging mode and 4 Type-A charging ports. 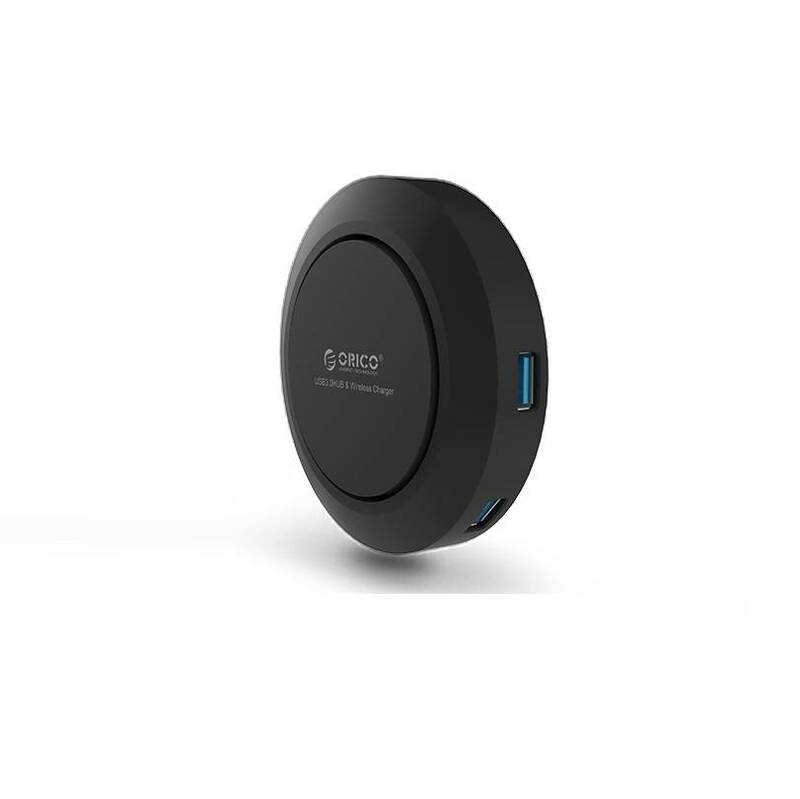 This allows you to charge 4 different 5V devices via the USB charging ports and to charge your smartphone wirelessly, provided it has the Qi charging standard. 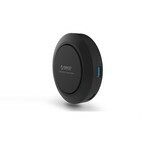 Would you like to charge your mobile phone wirelessly? 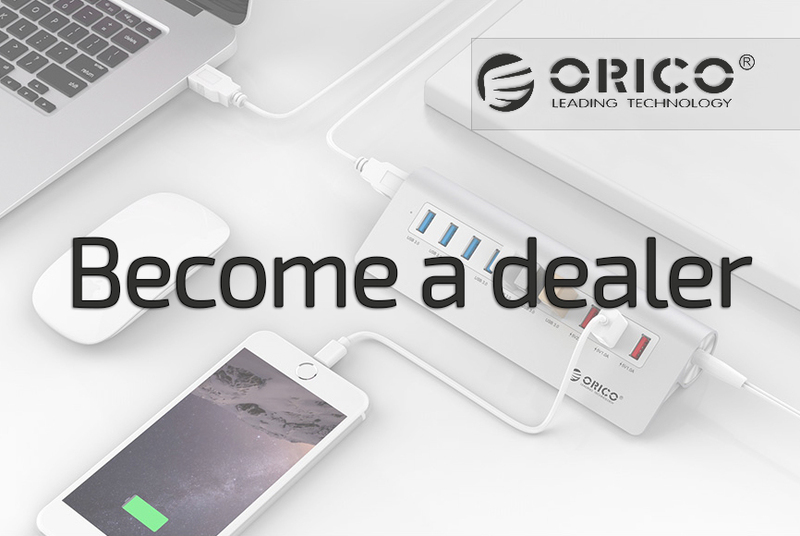 And do you also have several devices that need to be charged by means of a USB charging cable? Then this hub with four USB charging ports and the possibility of wireless charging is the product you need! With wireless charging you no longer need to use a charging cable. As a result, your desk is tidier, no cable breaks through little room to move, and you can use your phone whenever you want without disconnection. 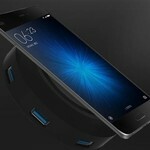 Is your phone suitable for wireless charging? 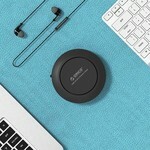 QI is the first in the world to promote standardization systems for wireless charging technology. 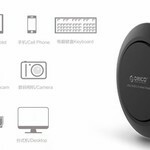 Moreover, this Union has introduced the standard for wireless charging which has two important features; convenience and versatility. You can easily place your smartphone on the charger, after which it starts charging immediately. No radiation is released by the magnet in the center of the charger. 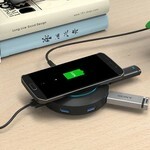 The four USB charging ports can be used to charge more devices simultaneously. Two USB ports support with a 5V device 2.4A, the two other ports support with 5V 1A. They are all equipped with the Smart Charge technology. This recognizes the connected device and transfers the correct amount of current. For example, 1A is supported when charging a smartphone and 2.4A when charging a tablet. You can also charge other devices through your own charging cables, such as a digital camera, a portable game computer or a power bank. When a product is being charged, an LED indicator lights up. The black USB charging hub with wireless charging mode is made of high quality materials. The ABS composite material makes it very strong and absorbs UV radiation. The texture is superior and the matte finish fits the product very well in any environment. 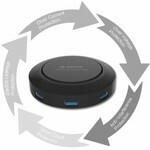 The product itself is compact and therefore easy to take anywhere. 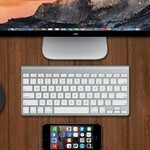 Very handy for the office, at school and during your vacation. Is your phone suitable for wireless charging? 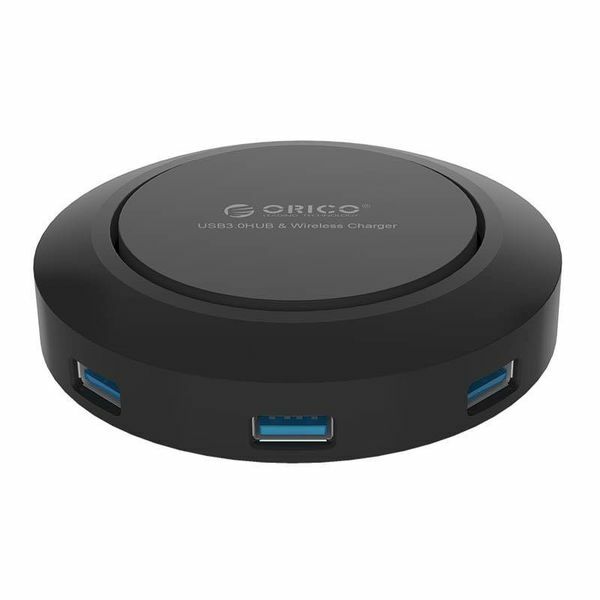 In addition to wireless charging, the Orico hub has 4 extra USB ports with which you can charge any 5V device. 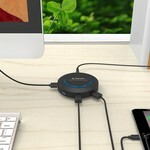 You simply plug your USB cable into the hub. There are USB charging ports with 1A and 2.4A. 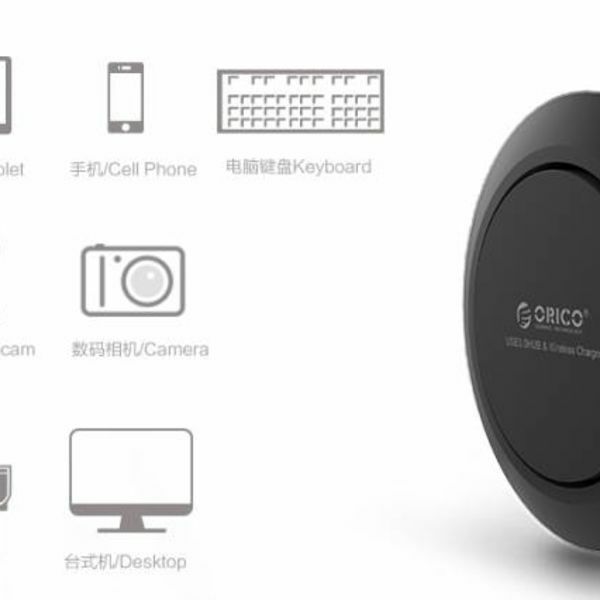 The Orico charging hub is equipped with a multi-safety security system. This protects against overvoltage, leakage current, short circuit and overheating. You can load multiple devices at the same time with peace of mind. 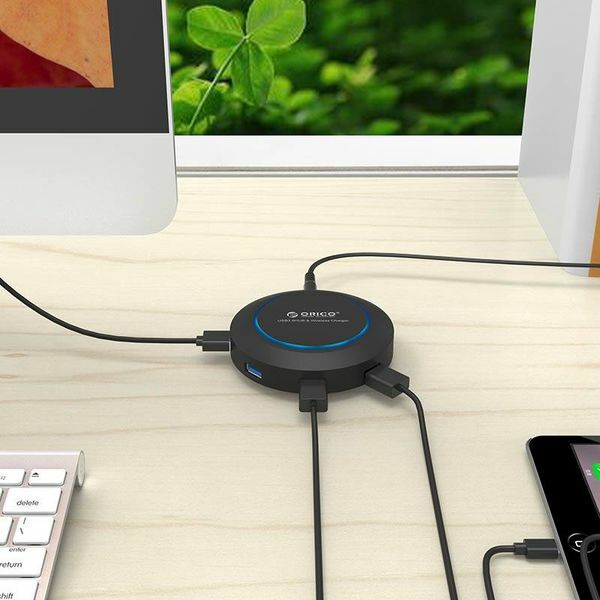 ✔ Ports: 4x USB charging ports. ✔ Output: 4x USB charging ports, 2x 5V-2.4A and 2x 5V-1A. 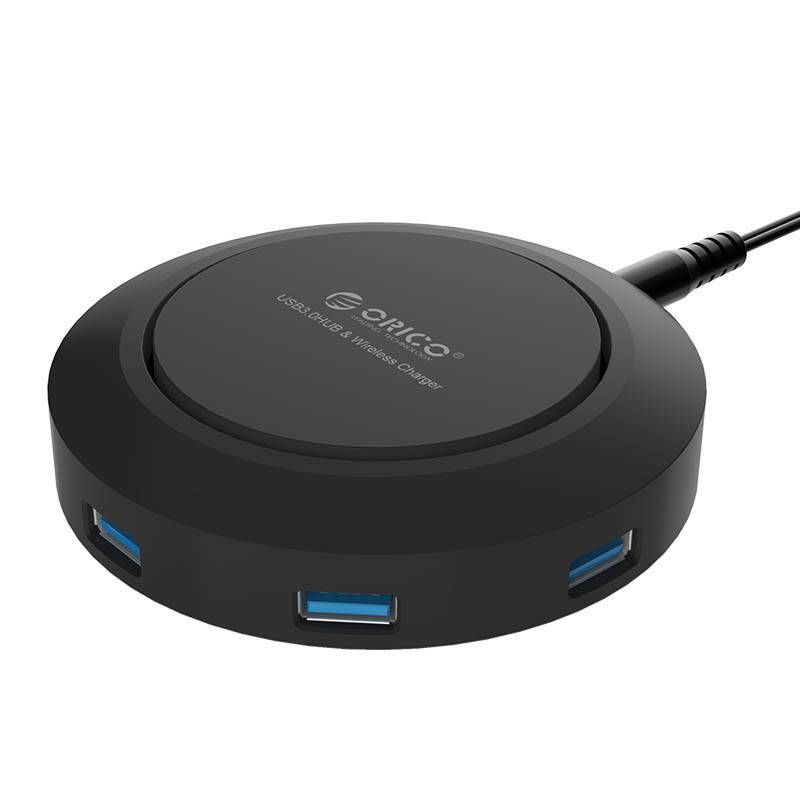 ✔ Qi wireless charging via protocol. ✔ Complies: CE / FCC / RoHS. ✔ Product dimensions: 98mm x 98mm x 29mm.